Albert William’s work reaches not only the frontiers of three-dimensional design technology, but extends thousands of years in the past … and halfway around the world. A lecturer in SOIC’s Media Arts and Science program, he specializes in three-dimensional design and animation of scientific and medical content. He also leads a service learning study abroad program to Greece each year. Students document cultural and historical artifacts by creating videos that include photography, 3-D reconstructions of ancient sites, and virtual reality. William has worked with students to make the past come alive closer to home as well, creating digital heritage projects such as the Bethel AME Virtual Reality Project, Historic Washington Street VR and the IUPUI Anniversary VR. He’s been involved in project management and production for numerous projects with SOIC for organizations such as the Ruth Lilly Health Education Center, Eli Lilly and Co., and Biomet, as well as IU’s School of Medicine School of Dentistry, School of Nursing, and the Center for Computational Biology, among others. He created “The Cell—A Virtual Tour”, an interactive multimedia CD/ROM designed to be used as a learning aid in cellular biology. William teaches a range of 3-D courses at SOIC. 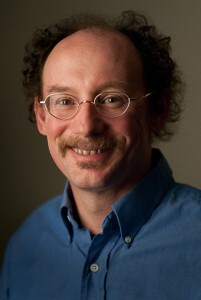 He’s received the 2003 Silicon Graphics Inc. Award for excellence in computational sciences and visualization at Indiana University, and the 2016 award for Excellence in the Scholarship of Teaching. “By using state-of-the-art 3-D graphics and interactive software,” he says, “it is possible to develop learning modules designed for scientists and students to maximize their learning potential.